Ragdoll has been brought into the New 52 universe. If you were a fan of Gail Simone's Secret Six, that should be all the reason you need to pick up this issue. 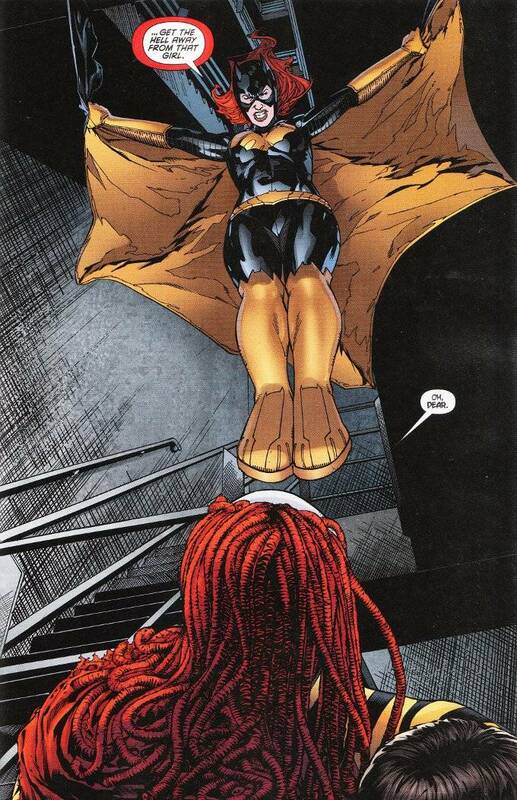 Simone's version of Ragdoll was the most horrifying member of a team that included King Shark, Cheshire and Bane. Let that thought sink in for a moment. Socially awkward (to put it politely and mildly) and manic, Ragdoll was disturbing even without considering the power of being triple-jointed and ultra-flexible. Still, Ragdoll isn't all bad. Nobody who likes monkeys could be all bad, right? Pasarin and Glapion do an excellent job of manifesting Ragdoll. Ragdoll's movements look possible without being any less inhuman or disturbing, as depicted by Pasarin's pencils. And Glapion - in defiance of the usual rules for inkers on Batman-family titles - highlights the artwork rather than shading it with his inks. The shadows here exist only to make the light seem brighter - not to obscure it completely.